The National Center for Lesbian Rights (NCLR) has a team unlike any other, with each member being passionate, hard-working, thoughtful and fully driven to achieve LGBTQ equality goals. At the helm is Kate Kendell, Esq., who is one of our community’s—and arguably the world’s—most effective and inspiring leaders. During her more than 22 years at NCLR, the organization became central to the fight for LGBTQ equality, including marriage equality, protections for LGBTQ families and youth, and the ongoing fight to stop Trump’s transgender military ban. It speaks volumes that during Kendell’s tenure, NCLR’s budget has grown from $500,000 to more than $5 million, the number of staff members has increased by five times, and NCLR now has both West Coast and East Coast offices in San Francisco and Washington, D.C.
Just a few months ago, Kendell announced that she is stepping down from her role as NCLR’s Executive Director. We share her letter from that memorable day, which stopped many of us in our tracks. 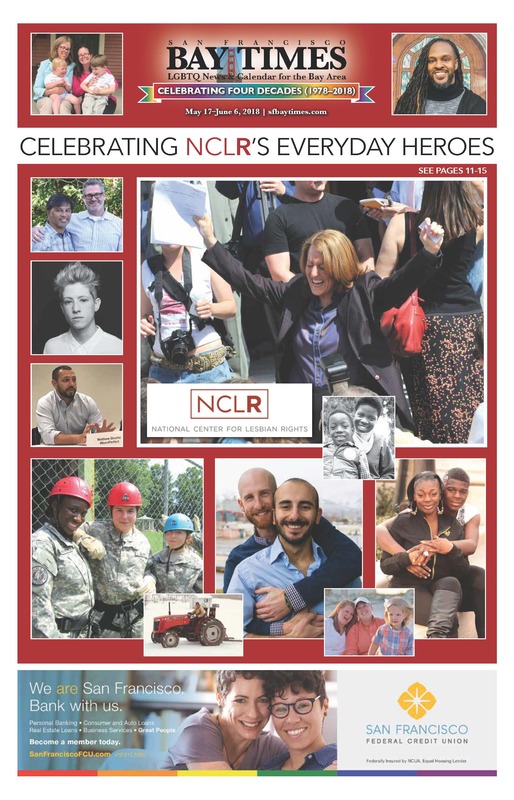 Now that NCLR is holding its well-deserved Anniversary Celebration, we will be thinking of Kendell all the more and sharing heartfelt gratitude for all that she and her team have accomplished over the years. We are also looking to the organization’s future, knowing that the pioneering spirit of not only Kendell, but also Donna Hitchens, Roberta Achtenberg and many others will be illuminating the path of NCLR’s leaders to come. Leading the National Center for Lesbian Rights (NCLR) has been the job of a lifetime. I feel extremely honored to have held this position and privileged to have experienced the countless moments of joy and awe that forever changed our lives as LGBTQ individuals. After 22 years, with a full and grateful heart, I will step down as the Executive Director of NCLR at the end of this year. 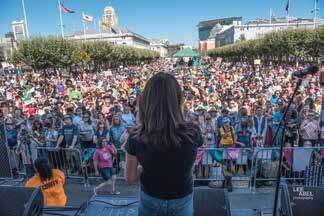 I never imagined I would live in San Francisco or lead an organization at the forefront of the fight for LGBTQ civil rights. I grew up Mormon in Ogden, Utah, was the eldest of three and the first to go to college in my family. Growing up, my parents never talked politics or current events. I never saw my Dad reading a book or newspaper. We never traveled out of the country or even east of Colorado. We went on an airplane once. I could only dream of one day being a lawyer, and I was sure that my sexual orientation would make it impossible for me to get a job. I most certainly never dreamed I would be the executive director of NCLR, nor that I would hold such a role for 22 years. But I did and I have. I came to NCLR as Legal Director in 1994 and became Executive Director in 1996. 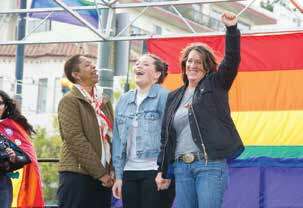 In my first weeks as Executive Director, I took a call from Mary Ward, a lesbian mom in Florida who had lost custody of her 8-year-old daughter based solely on her sexual orientation. Nothing about Mary’s story was unusual at this point in the conversation; I had heard the same facts countless times. Then came the kicker: Mary’s ex-husband had served 8 years in prison for murdering his first wife. I almost dropped the phone. An abusive murderer was deemed more fit for custody of a young girl then her lesbian mother. While our case was on appeal to the Florida Supreme Court, Mary died of a heart attack. I remember where I was when I got the call about her death as if it were yesterday. And last year, for the first time in our 42-year history, we sued a sitting U.S. President to stop his ban on transgender soldiers from military service. At every stage of this groundbreaking litigation we’ve won, and January 1 of this year trans recruits began enlisting in our military. These cases, one early in my tenure and the others very recently and ongoing, are a snapshot of our work. They illustrate both how far we have come and how powerful this work is. I have innumerable such stories of the impact NCLR has made. When now retired San Francisco Superior Court Judge Donna Hitchens founded NCLR in 1977 she could not have imagined the impact she and NCLR would make. Her legacy, nurtured by several other leaders before me, has allowed LGBTQ people to live openly and authentically. Nevertheless, we all know our work is not done. At a moment filled with both promise and challenge for the multiple movements that impact LGBTQ people, NCLR has never been more important. To lead this next phase of our progress, I believe it is the right time to welcome a new generation of leadership to chart and lead a bold and fierce future. My time at NCLR has widened my vistas and laid open my heart. I’ve been at the center of enormous NCLR victories, four at the U.S. Supreme Court, including the freedom to marry, a fight that was fanciful to me 22 years ago. Most importantly, I have been held up by so many. I would not be who I am without all of you. I have been unalterably marked by this work and by the many relationships that have brought me so much joy. I feel enormous gratitude to have been a part of the NCLR legacy, part of the history of the fight, still on-going, for full lived justice for all LGBTQ people. I am forever beholden to you all for making me better. The honor, truly, has been all mine. Dearest staff, board, colleagues and generous supporters of NCLR, I am forever indebted for the opportunity you have given me. From a full to bursting heart, thank you for your steadfast support of me, NCLR and our vision of what the world can be. The road ahead will be both challenging and filled with possibility. 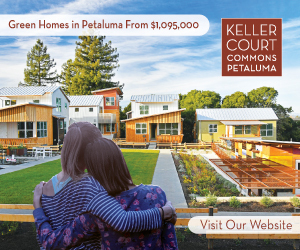 The needs of our community will be both pressing and complex. But you can rest assured that NCLR will be here, rising to the moment as we have for 41 years. Your continued support will assure that we meet every challenge head on. We have much more to do and more history to make.